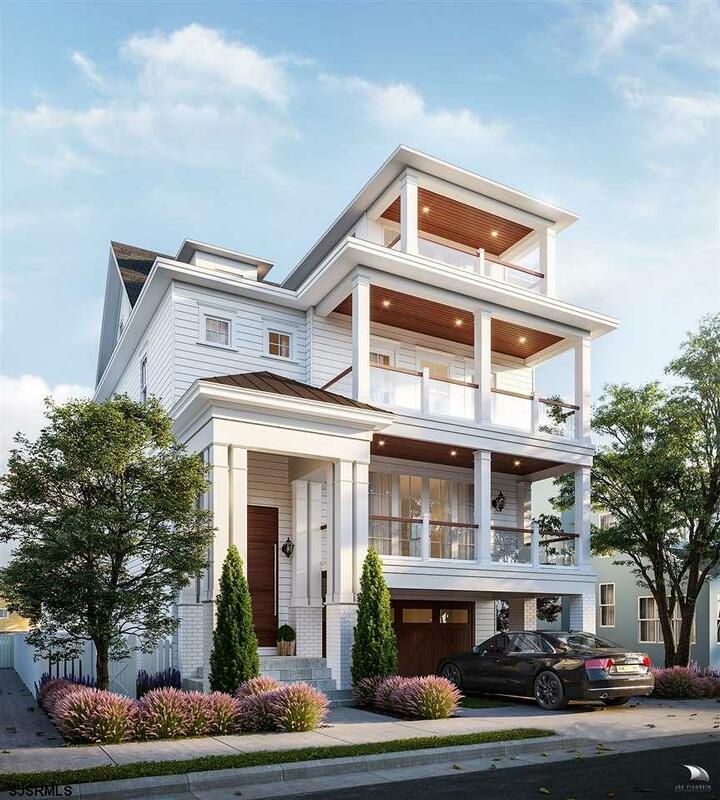 The entire Piraino repertoire of luxury custom homes & their creativity, ingenuity & intelligent design has culminated in this âMargate crown jewelâ Beach block property. Located on Margate's finest street, this home is a short walk to the world famous boardwalk, Margate's best shopping district and fabulous nightlife. The functionality begins on the street level w/ a multi-car garage, enormous storage area flowing into the gracious rear yard & housing a 4 stop elevator traveling from grade to the opulent penthouse. 1st level boasts 9 ft. ceilings accented w/ an impressive mill-work package & an open floor plan concept. The wrap around chefs kitchen boasts custom Amish cabinetry w/ illuminated glass cabinet accents & wet bar for entertaining & SubZero/Wolf appliance package. Adjacent is the powder room w/ designer vanity & mudroom w/ custom built-in cabinetry. The Family room overlooks the 2 story open foyer & offers a natural gas fireplace w/ custom surround leading to the oversize covered deck w/ direct Ocean views. 2nd level encompasses a second washer/dryer room, 4 gracious bedrooms & 3 full baths, the two front bedrooms being junior masters each with their own access to the oversize 2nd fl. deck. 3rd level is reserved for the true Master suite, this design is first of its kind w/ absolute panoramic ocean views. Suite boasts vaulted ceilings, impressive Master bath w/ designer vanity & multi-function shower system, oversize walk-in closet and private deck.